Here is my Daggerfall title, i am gonna create my own font to use II cause it didn't look very good when i updated it, reminder that this Daggerfall design is a prototype and this is a placeholder font i will be making it look similar to the original. Next part for TES title i will be making 3D small lines on the title to give it more of that 3D look and also try and add some rust design on it. An update i won't be able to get back into working on the Daggerfall title for 2 weeks due to my computer getting fixed. Th3AustralianGam3r wrote: An update i won't be able to get back into working on the Daggerfall title for 2 weeks due to my computer getting fixed. i had a long thought on what will be TES II: Daggerfall Symbol will be and i have decided to use the Daggerfall Crest Dragon. If someone has a high res version of it please sent it to me. Why? 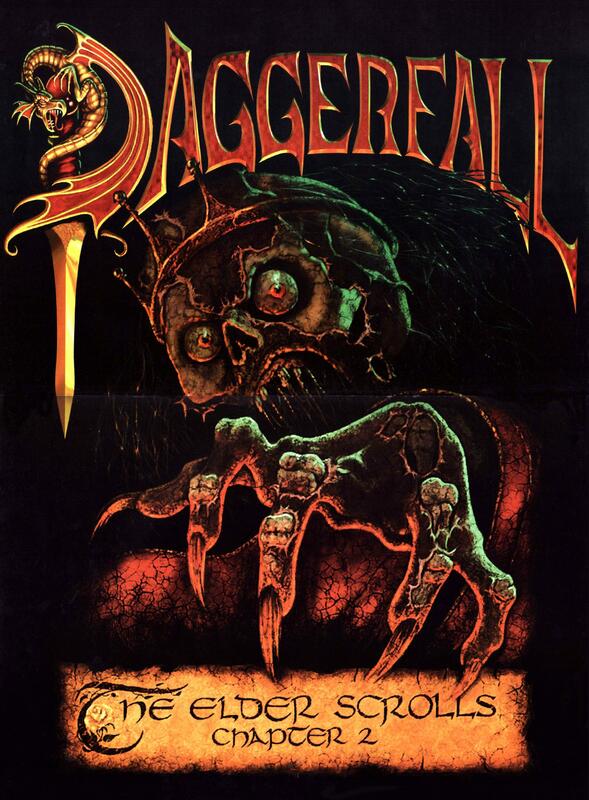 Daggerfall as a game has two symbols already - dragon as a D letter dagger in the title and the iconic Underking. Using something else, moreover so obscure - seems rather meaningless. Th3AustralianGam3r wrote: i had a long thought on what will be TES II: Daggerfall Symbol will be and i have decided to use the Daggerfall Crest Dragon. NikitaTheTanner wrote: Why? Daggerfall as a game has two symbols already - dragon as a D letter dagger in the title and the iconic Underking. Using something else, moreover so obscure - seems rather meaningless. If its a mod, or drag and drop like the textures this is a non issue...just an opinion.